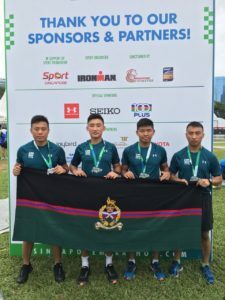 Standard Chartered Singapore Marathon (SCSM) is an annual international marathon race which is run every first Sunday of December in Singapore and a team of Gurkhas were taking part. We hear from Lance Corporal Prabesh Rai about how he got on. 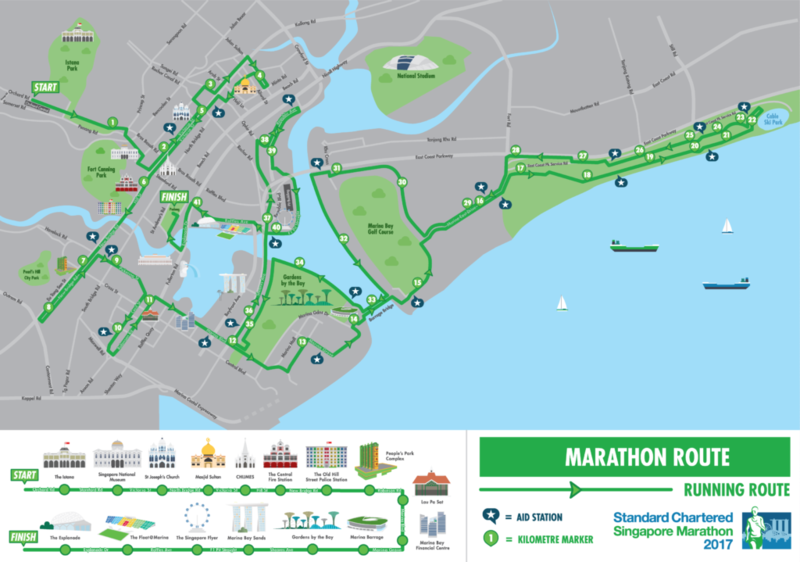 SCSM is a gold label road race by the International Association of Athletics Federations (IAAF), placing it on the same league with other marathon such as London Marathon and Dubai Marathon. SCSM was established in 2002 and marked their 15th anniversary in 2016. SCSM 2017 was held on 3rd December and consisted of five different categories of competition: Full Marathon, Half marathon, 10km race, Ekiden race and Kids dash. Planning and preparation for the event started in June 2017 when we registered ourselves for marathon. The whole event was led by Corporal Jiban Tamang assisted by the other members of the detachment. We arrived in Singapore on 1st December 2017, checked in to our hotel and refreshed ourselves before heading to Marina Bay Sands exhibition hall to check in ourselves for the run on 3 December with the SCSM team. It was like a festival where hundreds of motivated runners were present and excited about the run. The next day, we prepared ourselves for the main event by having proper diet and enough sleeping hours. On the morning of 3rd December, at 0450 Hrs, as the siren went off, the 42.195km race began. We ran together for almost 5km then we started to run independently. At the beginning I thought that it was going to be easy but for how long for was my question for? Upon completion of the first 20km, I was experiencing a significant amount of pain around my lower back which made my running difficult. I came to a point where I felt like I could not complete my race due to my aching back and I chose to walk for more than a mile. Eventually I felt little relieve after walking and started to run again. 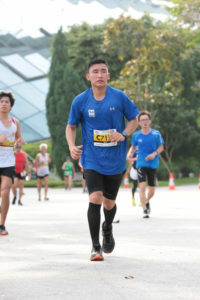 I ran at my best pace to catch up with the time I lost even though my legs were not giving in to the situation. Once I reached the Shears Bridge (38km point), the soles of my feet were aching on every step. The pain on the feet gradually increased and I was using my heels to walk at a certain point. Every time I started to walk instead of run, I had mixed feelings running through my mind. This was the ultimate challenge for my physical and mental state. I only had a few kilometres of the race left my mind took over my body and I diverted all the energy I had remaining to my limbs to complete the race. Finally, I completed the race and it was the best experience of my life as everyone was cheering and applauding at the finishing line. The medal presentation and refreshment at the end made me feel proud of what I had achieved that day. The 42.195km run was a life changing experience for the whole team. The main lesson I learnt was to stay determined if you want to achieve something in life as it does not come easy. There are many factors that affect the results we expect from trying to achieve some of the goals in our lifes. SCSM 2017 will always be one of the best moments of our lives and would also like to express our gratitude towards our management team for their support in our success. “Small steps can make a big difference”.